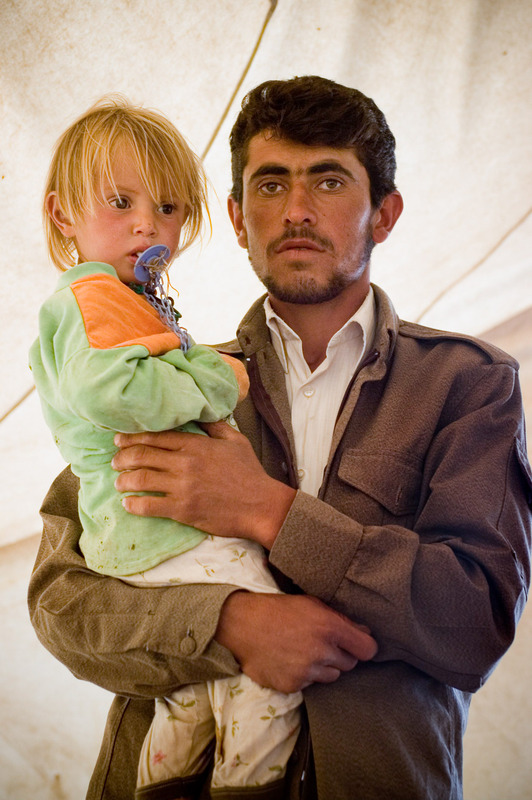 Portrait of Kurdish Peshmurga guard and his blond haired son. Portrait of Kurdish Peshmurga guard and his blond haired son. Blonde hair and blue eyes are considered special and divine from Allah according to Kurdish folk lore.